As with the rest of life, living with kids is all about change. From the moment you find out you're having a baby until... there is change. No where is that more evident that your family bike rides. 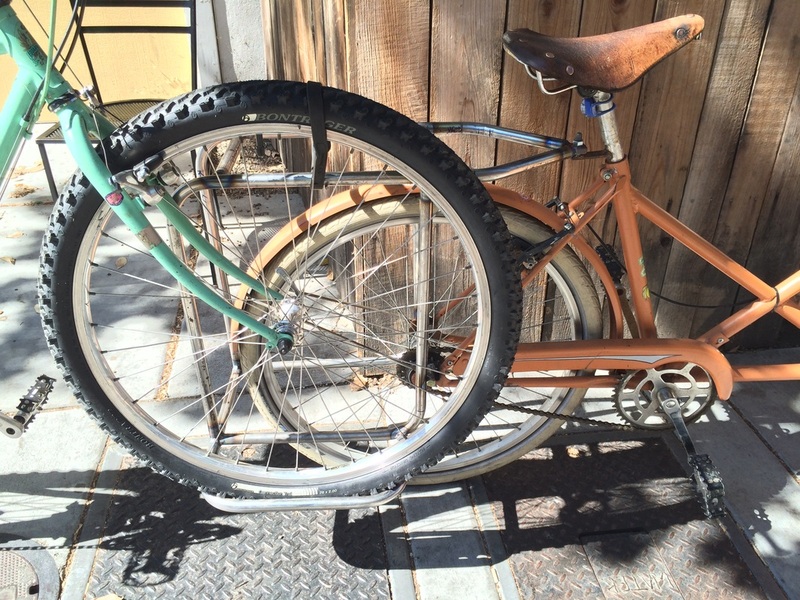 Here's some ways to make sure your bikes can keep up with growing cyclist. 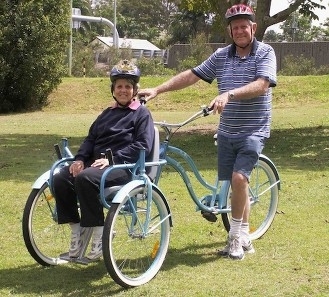 The first rig you put together to get out on a bike with your new bundle of joy may be a longjohn or some other front loading trike. 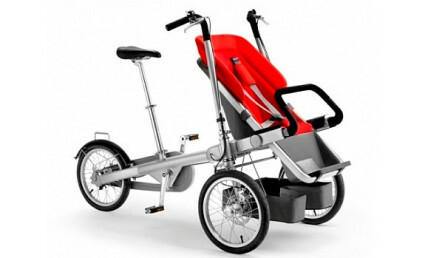 As a proud papa you have the ability keep your eye on your little one and strap an infant car seat down into the bike or trike for extra protection. Additionally you will still have plenty of room for the all important diaper bag. Don't leave home without it! First they will ride a balance bike, then a trike, and eventually they will have their own set of pedals and you will be so proud. Be careful, your enthusiasm may lead you to this mistake. You are going to go too far. Everyone is happy as you leave home. The problem comes when kids get tired and won't ride their bikes back. So what ya gonna do now? If you have one of these you can haul everyone back in style. Now that looks much better than what I did when we rode a bit too far from home. That was a heavy and unbalanced two miles home. 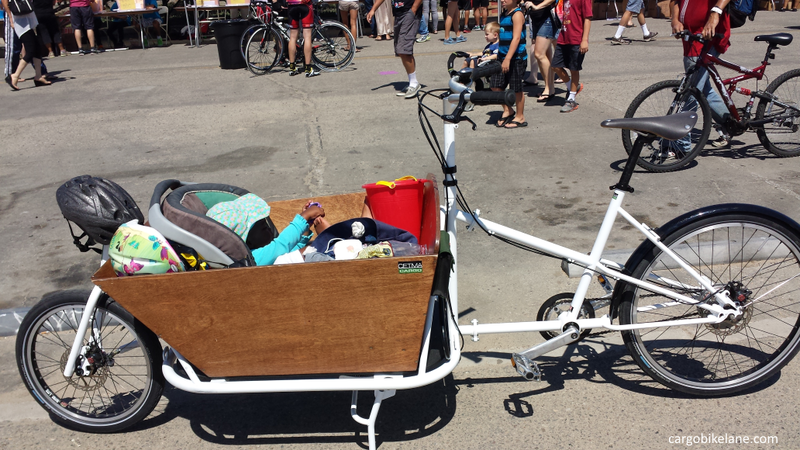 Sooner than later all my cargo bike will be good for is carrying groceries. And that will be good with me. Hopefully, many decades from now my kids will return the favor. 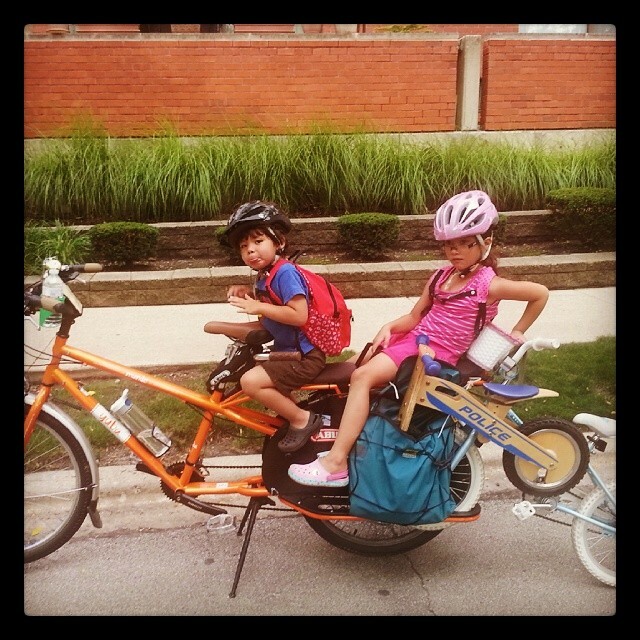 What is your bike of choice for the current stage of your family bike ride?